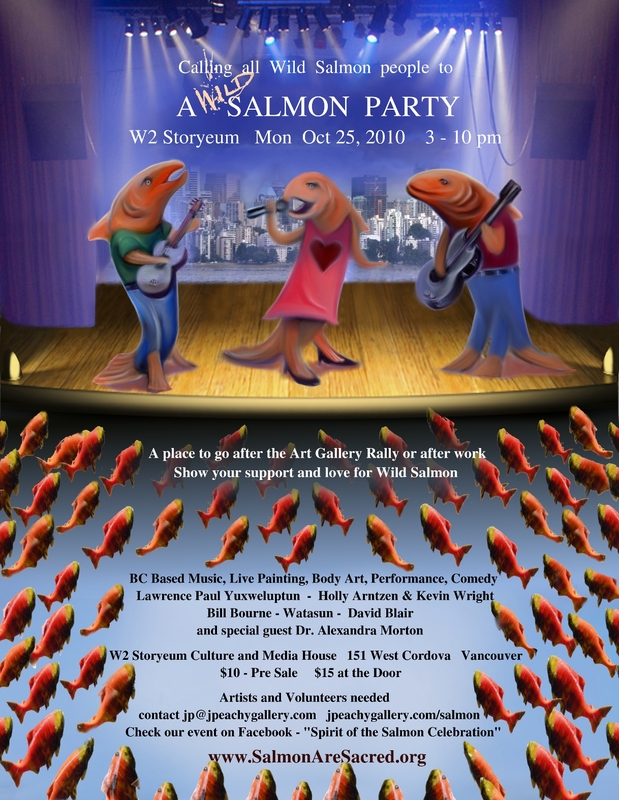 Come join us on Monday October 25th, 3pm to celebrate our love for wild salmon through the Arts. Starting at 3pm this celebration features, Music, Live Painting, Spoken Word, Performance, Body Art, Comedy. This event is now by DONATION ($10 suggested), thanks to the support of some amazing people. We hope you can come, its family friendly, its for the Salmon and will include local inspiring Artists and performances. Door proceeds will help support the Artists to cover expenses to participate and Future Wild Salmon Activist events. Please pre-register so we can plan the space accordingly.